Tis the season for hostess gifts and lots of them! Stock up now on a few bottles of wine or sparkling cider or one of my personal faves… the sparkling lemonades from Trader Joes (adults and kids both love it and it’s always nice to have plenty of non-alcoholic beverage choices to offer) and have them on hand for hostess gifts. Slip one of these Sip Sip Hooray Bottle Tags around the neck and kick it up a notch! 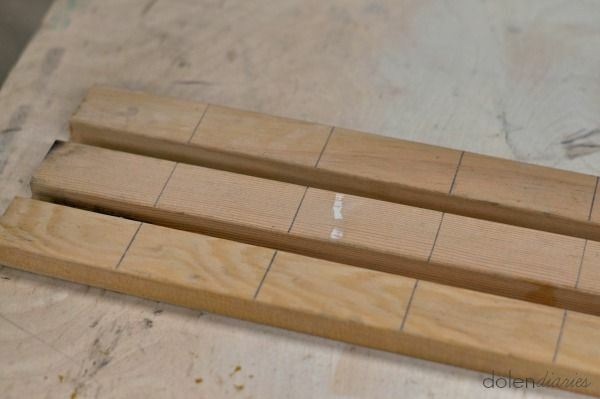 Take the 1″ x 2″ measure out 3″ blocks and mark them for cutting. 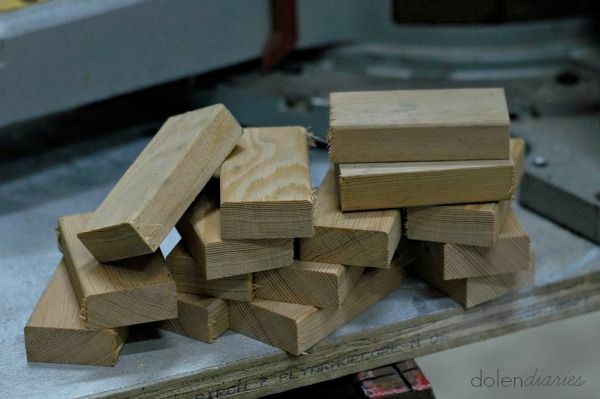 A few cuts with the chop saw and you’ll have a stack of blocks ready to have holes drilled in them. 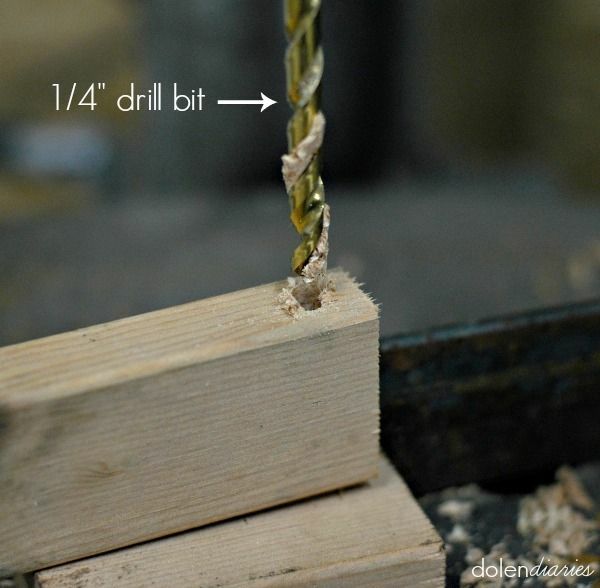 Using a quarter inch drill bit, drill a hole through the side of the bottle tag. After the holes drilled, it’s time to sand! I actually really like sanding, there is something so gratifying about it! 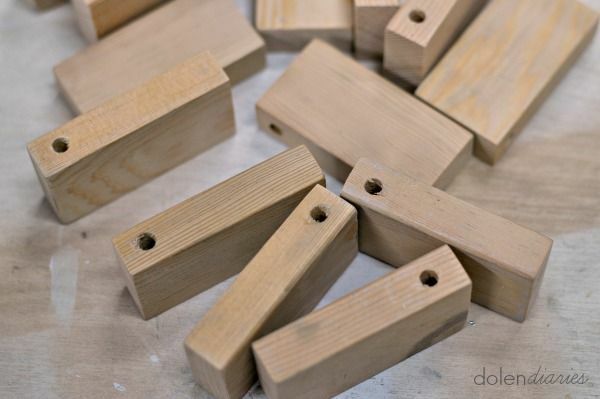 Paint the bottle tags with grey or white and allow them to dry. While the paint is drying cut out Sip Sip Hooray! in gold vinyl. If you don’t have a craft cutter yet tell Santa you NEED one! Cricut is running a deal right now that you don’t want to miss out on! Check it out here! Apply the gold vinyl to the bottle tag with transfer tape. String the gold cord through the hole. Secure it with a knot. Slip your bottle tag over whatever bottle you’re bringing to your favorite hostess! She’ll love it and be excited to pass it along to another friend with a new bottle of bubbly!